Sheikh Mujib wrote two volumes of his autobiography, where he expressed his view on politics and described his personal life. Both books were published after his death by his daughter and current Bangladeshi Prime Minister Sheikh Hasina. 1.The Unfinished Memoirs- The University Press Limited, Penguin Books and Oxford University Press. It’s the autobiography by Sheikh Mujibur Rahman, founding father of Bangladesh. 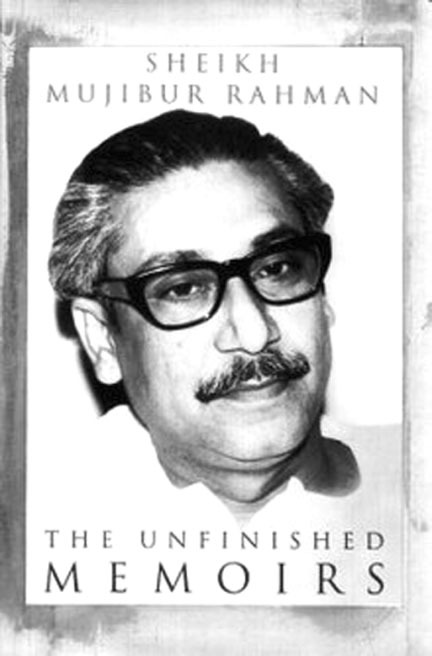 In the book/diary Mujib noted his prison life during the Pakistan regime from 1966 to 1968. He provides a comprehensive account of jail customs and conventions, his political view and his pain for being separated from his family.